In a show of solidarity for the city’s choice to formally appeal the proposed Southern California International (SCIG) railyard, the Port of Long Beach (POLB) Board of Harbor Commissioners unanimously voted to back the appeal despite holding a large amount of business benefits should the project move forward. While Commissioner Thomas Fields recused himself due to possible economic conflicts of interest, the remaining members voted 4-0 to support the appeal. Such a consideration is shocking–especially following the Port of Los Angeles (POLA) Board of Harbor Commissioners antithetically voting to support the project unanimously–since SCIG would be a near-dock rail yard and roughly 60% of BNSF’s business lies within the POLB. Even further, POLB loads about 25% of the current imports at rail yards within the Port terminals; however, there isn’t enough cargo at each terminal to go to each rail destination. For example, explained POLB’s Art Wong, to build a mile-long train for Houston, one would need roughly 300 containers. 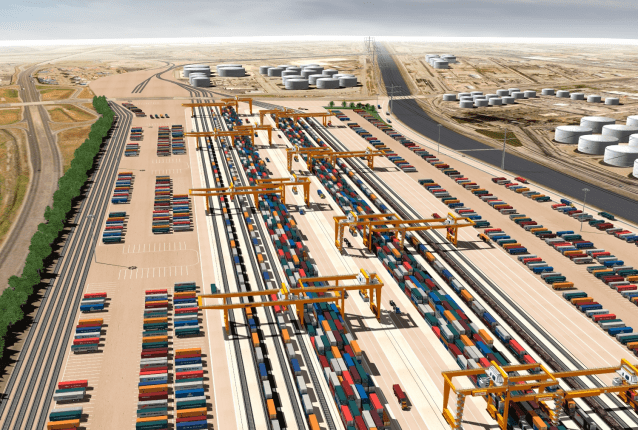 If a terminal has less than a full train, they’d truck those boxes to either Union Pacific’s ICTF rail yard (currently located about five miles outside the ports), or Union Pacific’s East L.A. yard or BNSF’s Hobart yard, both in East Los Angeles. Given nearly all of the East Los Angeles-headed traffic goes up the 710, BNSF wants to expand its capacity by building SCIG. Logistically speaking from the standpoint of port business, creating SCIG is pertinent for both current operations and future expansion. However, the board was deeply altruistic in their concerns about the impact of such a project on residents, formally directing POLB staff to work in tandem with the city to help alleviate many issues attached to the project. This included specifically its direct impact on West Long Beach residents–the only residents to be affected by the project. SCIG spans along the cities of Long Beach, Carson, and Wilmington, of which SCIG’s property lines within the latter two are surrounded by purely industrial spaces. However, the final vote on the project lies with the Los Angeles City Council and Mayor Antonio Villaraigosa. A final vote is expected in the next couple of weeks.